Resume: Today mutual respect is probably the scarcest commodity in relations between great or even just major powers. This is particularly visible in the divide between the West and the Rest. The spring of 2017 was marked by rather abrupt U.S. interventions in the two most sensitive areas of world politics—Syria and North Korea. The new administration ordered an attack of 59 cruise missiles on Syria in a show of force and has made unequivocal threats against North Korea. In both cases, Russia and China, the top nuclear powers alongside the United States, saw their vital interests affected. Both showed restraint, which inspires hope. But who knows what consequences such actions may have in the future. The world is entering an even more complex and explosive period. It is heavily armed with the most lethal weapons but has lost the moral and intellectual basis for effective deterrence and balance. It is this fact rather than the abundance of weapons as such that causes the greatest alarm. The current period is probably the most complex and explosive one since the early 1900s, when the European powers unleashed a world war. It led to the collapse of four empires—Austro-Hungarian, German, Ottoman, and Russian—and, as Henry Kissinger has observed, forever stripped Europe of a leading role in world affairs. The war was caused by irresponsibility and inability to adequately assess the effects of their actions amid deepening objective contradictions between the two groups of leading powers. That recklessness was borne of their growing ambitions rooted in the “habit of peace” as well as of their close economic ties almost bordering on interdependence. As a result, strategic frivolity, or the willingness to create risky situations to advance short-term interests, prevailed. Mother diplomacy's lullabies do not help - baby Mars does not want to sleep. We can see the same signs today. But the situation is getting worse because of a clear lack of mutual respect in the world. The most important feature of the international situation today is the absence of the two possible primary stabilizers in interstate relations: generally recognized rules of the game and dominant players. Only nuclear weapons are still there as a tangible factor of global stability. Before 1991, there were two powers that imposed their will on the majority of other countries except China and, to some extent, India. After the bipolar system finally disappeared, there was a chance that international relations would come to be characterized by fair play based on generally accepted institutions. But the de facto winners of the Cold War decided to structure the world in their own interests and create a unipolar system. This system was known as the “liberal world order” and hinged on one incontrovertible rule: international law can be violated only by the United States or its closest allies with its consent. The latter, however, lacked sufficient military resources to tackle tasks other than conquering Bedouin tribes in West Africa. The U.S. was also the primary author of global political and economic rules. 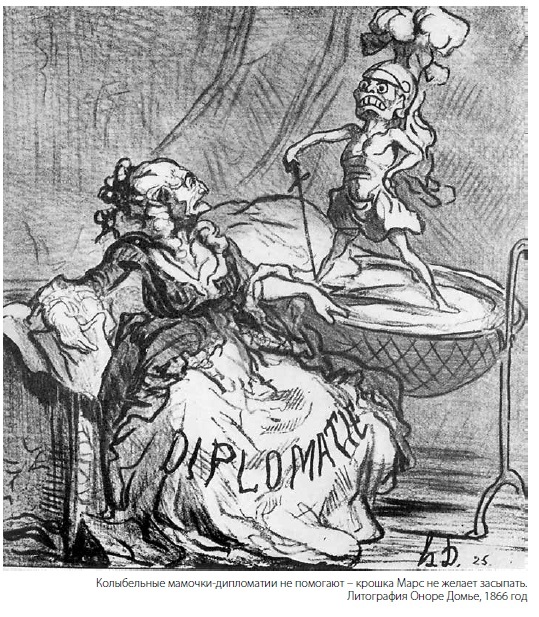 International institutions were given a rather formal role of making sure that other countries played by the rules which the United States could ignore. Other major states were invited to either join the Western community as junior partners or stay on the sidelines while enjoying the benefits of economic globalization and free trade, essentially forfeiting their sovereignty. The West was also certain that economic factors would sooner or later force China to adapt to the West’s rules of the game and its political system. Its expectations were based on the logic of economic interconnection that was understood rather formally and on the policy pursued by Beijing which until recently preferred to follow Deng Xiaoping’s precept of “keeping a low profile.” The West was certain that sooner or later China would fall into the hands of the international community as a big overripe apple. But this plan did not work. Russia has grown strong enough to defend its national interests. In 2008-2014, it drastically changed its policy towards the West and moved from talking about “red lines” to actually drawing them. China called for overhauling global governance institutions and building a fairer international order. But new rules followed by all have failed to emerge so far. The United States seems to be adopting a strategy that it is better to have no rules at all than any other rules that are not American as was clearly demonstrated by the U.S. administration during Donald Trump’s first 100 days in office. As a result, the world has been plunged into a much more chaotic and risky state than it was even after the end of the Second Thirty Years’ War of 1914-1945. The order created by the winners in 1945 amounted to the most sweeping reform of the Westphalian system since its inception in 1648. It was much less democratic than ever before in the previous 300 years when all states were legally equal regardless of their size. After the creation of the UN Security Council the right of nations to conduct a war to defend their own interests (as they understood them) became dependent on the will of its five permanent members. In other words, it was officially formalized that the five states had more rights than any other country. Westphalian system states had never experienced such tight control ever before. But the existence of the UN Security Council and the right to veto held by its permanent members created at least a semblance of stabilizer in the international system. The right to veto is still there, but the rest of the rules, imperfect as they were, no longer work. Modern international relations are not written from scrap. They are based on the profound cultural and historical experience accumulated by states in building conscious relations. It comprises a great number of negotiations, conferences, treatises, and decisions. Some of them were aimed at avoiding war or getting better prepared for it. Others were an attempt to jointly build an order where peace was not a pause between wars but a means of building relations between major and minor states. History is not linear and it does not evolve successively from point A to point B. Proliferation of essences, inevitable and necessary for perfection of arguments, and basic characteristics describing the nature of relations between nations are not so many. This allows us to take a look at the experience of the past centuries and study the ruins of bygone systems in order to understand which experience to use and which mistakes to avoid. If we look for analogies in the past, the period most closely related to present circumstances would be the one that began after German unification in 1871, became irreversible after 1890 and lasted until the Great War of 1914-1918. Its essential features were irreconcilable contradictions between the core West European powers—France and Germany, universal militarization, numerous small clashes on the periphery caused by diverging interests of major players, and globalization in trade and human contacts amid growing trade barriers and increasingly frequent embargoes, some sort of proto-sanctions of the past. In 1913, for example, the strongest trading relationship was between Britain and Germany, which would be mortal enemies just a year later. Germany was also the biggest foreign investor in Russia, with 378 million in gold rubles invested in the Russian economy. There were no visas or borders in the modern sense of these concepts. The European aristocrats were a global elite and the majority of ruling dynasties were one big extended family. The leading global powers had not been at war with each other for 40 years and the last conflict that involved more than three powers was the Crimean War of 1853-1856. There had been no truly large-scale bloody war since 1815 when European monarchies had crushed the French Revolution which by that time had evolved into the Napoleonic Empire. The system created at the Congress of Vienna was gradually outliving itself as was clearly evidenced by increasingly frequent wars on the periphery and standoffs between major powers, the biggest of which was the Franco-Prussian War. It largely presaged future catastrophes. The proclamation of the German Empire in the Hall of Mirrors at the Palace of Versailles shook the French elite, evoking a strong desire for revenge. And yet, the ruling circles preferred to believe that sporadic incidents did not break the integrity of the construction but merely highlighted the need to tune or repair it. This was usually done at peace congresses convened after system faults. All major European powers pursued the policy of colonial seizures, which inevitably led to local clashes with the native population. European states along with the U.S. and Japan, which joined them, plunged China into a century-long ordeal. The suffering of peoples subjected to colonial aggression was not counted, of course. There were no big wars in Europe for almost a century, and none of the active military commanders had the experience of conducting a large-scale campaign. Suspicion reigned supreme in relations between states, and the arms race progressed like an avalanche. The result was a military and diplomatic conflict that lasted for 30 years and included two world wars that cost tens of millions of lives—a new Thirty Years’ War but on a global scale. Today we are witnessing something similar. The ongoing globalization of trade is accompanied by increasingly tangled and thorny political relations. The White House openly disregards international law and says it is concerned only with its own interests. Washington’s behavior is erratic and risky. The international system has been knocked off balance. Europe is rapidly losing its ability to advance the cause of peace. China and Russia are urging fair play and respect for international institutions, and trying to preserve the gains of globalization. But they, too, often have to react symmetrically to what their partners in the West do. Like in the early 20th century, many believe that economic interdependence will forestall a descent into all-out war, and so they can afford to take a frivolous approach to sources of conflict. The military in Russia, the U.S., Great Britain, and France have no experience other than fighting guerillas or carrying expeditionary missions in remote countries. China’s abilities are even more modest. All seem to have grown “accustomed to peace” and become convinced that nuclear weapons are a guarantee against a large-scale war. This concept is rooted in Cold War-era theories and insists that nuclear weapons are essentially the last universal means of global deterrence. Naturally, it would be incorrect to equate the purely psychological “habit of peace” of the late 19th century and the early 20th century with more than palpable nuclear deterrence. And yet, while realizing that this parallel is rather relative, we believe it would be worth comparing two periods when an atmosphere of certainty, so rarely found in the history of international relations, prevailed. Regardless of the material basis of this phenomenon, the absence of the feeling that international relations “are developing in the shadow of all-out war” can play a low-down trick on those who make decisions. By studying the circumstances of 1871-1914 we can back away from the slippery path towards a major conflict. We can even figure out what it will take to build a more or less stable world order. Past experience teaches us that the international order has both a material basis (military force) and a non-material basis (respect, rules and recognition of partners’ legitimacy). One has outweighed the other at certain points in history. The balance of power in 1871-1914 and 1945-1991 was material in nature. But in both cases, the balance of power and direct military containment were the precursors to all-out conflict, not part of an effort to avert one. The result in both cases was the defeat of one or several players—in direct military conflicts in 1914-1918 and 1939-1945 and in the hybrid warfare conducted on the periphery during the Cold War, which nevertheless threatened to erupt into a big war between the superpowers at any moment. Known as the Concert of Vienna, the European order of 1648-1871 was of a different nature. Like the entire Westphalian system, the Concert was based on (monarchic) legitimacy, mutual respect, and agreed upon rules of the game rather than force. The creators of the Westphalian system and participants in the Congress of Vienna certainly recognized each other’s legitimacy despite the difference in political systems and numerous contradictions. Some earlier examples of this order can be found in the ancient history of the East and relations between ancient Chinese dynasties in the Spring and Autumn period. In the 14th century BC, rulers of the five states that formed the Club of Great Powers called each other “brother” and state-sponsored peace summits in ancient China were predecessors of the 19th-century European peace congresses. In none of the examples known from ancient history the powers of the states participating in the Concert were identical. In Europe, mutual respect and recognition of legitimacy persisted until the 1917 Russian revolution, and both have been lacking in international relations in the intervening 100 years. Today, mutual respect is probably the scarcest commodity in relations between great or even just major powers. This is particularly visible in the divide between the West and the Rest. In some cases, the loss of respect is due to a subjective assessment of a partner’s internal stability and legitimacy. This is how the United States and the majority of its allies look at Russia and China. Judging by their statements and estimates, the U.S. generals and most experts believe that China will not be able to muster enough resolve when the time comes. Although the U.S. calls China one of the two world superpowers, many people think that despite its economic might and growing military capabilities Beijing is not prepared to stand up to serious pressure and military provocations. But this creates a fundamental problem. The idea that transforming another country would be the most reliable way to settle differences with it inevitably makes the discussion futile and diplomacy impotent. Denying, to a greater or lesser extent, a partner’s legitimacy renders the issue of mutual respect irrelevant. Is there any respect in the West’s attitude, say, to North Korea or relations between such irreconcilable opponents as India and Pakistan? In other cases, the lack of respect results from a no less subjective view of opponents’ intentions and, most importantly, their ability to match words with deeds. Russia and China are growing increasingly convinced that the new American administration cannot be taken seriously. The threatening, contradictory and irresponsible statements by the U.S. president and members of his inner circle do not translate into practice, and their erratic, reckless and intentionally scandalous policies only add to this perception. As a result, the world is beginning to erroneously view the new administration as a paper tiger which only looks formidable but, in reality, is not so dangerous. Regrettably, certain decisions by EU leaders and heads of major EU countries have not engendered a great deal of respect in Russia and China either. In Russia, many people do not understand the nature of what they see as Europe’s contradictory foreign policy. Russians look at the aftermath of the Arab Spring and the EU migrant crisis and wonder if the Europeans are able to see the cause-and-effect link between political decisions and subsequent developments. Some experts and politicians become more and more convinced that Europe will not be able to get out of its systemic crisis and that there is no one there to talk to and there is nothing to discuss. This is driving relations between Russia and the European Union into an intellectual and political impasse. Russia-China relations are much more respectful. Both countries’ leaders meet regularly and, by all appearances, listen attentively to each other’s views on various issues such as foreign policy and governance. Russia has much to learn from its great partner about economic development or the fight against corruption. China, in turn, can borrow Russia’s experience of maintaining a harmonious multi-ethnic state or staunchly defending its foreign policy interests. So far, China has not faced the same tough challenges from the West as Russia has. But, given the radicalism of the new U.S. administration, a harsh test is just around the corner. So, respect and mutual recognition can hardly stabilize international relations at this point. The lack of these notions was not so pronounced at the end of the 19th century and the beginning of the 20th century. It underscores the danger of another similarity of the epochs—the willingness to risk confrontation for the sake of tactical success or domestic political popularity. The new U.S. administration’s strategic frivolity may at some point lead to a war with unpredictable potential for escalation in the Middle East or Northeast Asia. Russia, too, often raises its stakes, balancing between strategic restraint and frivolity, as it finds other ways of conveying its point of view to its partners useless. But Russia and China also have to take decisions in response to tactical attacks by their opponents rather than on the basis of their long-term strategies. Europe is less reckless only insofar as it has fewer military capabilities. But the European powers did spark a military and diplomatic conflict in Ukraine by thoughtlessly supporting the 2014 coup and then blaming Russia for interfering in Ukraine’s internal affairs. What prevailed in both cases was the desire to gain a short-term advantage and the need for internal consolidation in the face of external threat. Russia was chosen to be its source. One hundred years ago, the great powers’ strategic frivolity led to a world war despite the fact that they respected each other and recognized each other’s legitimacy. To avoid getting dragged into a conflict, it would not be enough to recognize each other’s right to live by one’s own values, as the new U.S. administration is trying to do with respect to Russia and China, even though it is not clear how long this policy can last. For an indefinite period of time, world politics will remain the sum of “small deals” until conditions are ripe for creating new global rules of the game. I would hazard a guess that the United States and its allies are basically incapable of any “final solutions” if they do not guarantee them the status of unquestionable winners. The best we can hope for is that they will strengthen the safeguards that prevent reckless gamblers from leading the world to the brink of war. This is why making deals should be the work of diplomats at international organizations and forums—a major achievement of the 20th century along with nuclear deterrence. Their efficiency was called into question after the end of the Cold War and often was deliberately ruined. But unless this pernicious approach is abandoned completely, mutual deterrence will soon be the only way to avoid war. In fact, the positive role of nuclear weapons has been actively discussed lately. Its advocates appear to be extremely pessimistic in assessing the ability of most leading countries to limit the use of their force and take into account the interests of other countries as their own. But it would be reasonable to assume that a banal military buildup in the absence of mutual respect and recognition of legitimacy as the basis for strategic philosophy increases the risk of war. Weapons alone cannot secure lasting peace. It is necessary to renounce the use of force and threat of force as a means of attaining foreign policy goals if it affects the interests of a major military power. It would be prudent to stop using foreign policy issues, especially those concerning security, for boosting politicians’ domestic popularity. Modern international relations are badly in need of non-material elements that could act as stabilizers but at the same time are brimming with non-material factors that destabilize the situation. The main task is to balance out power, morals, and law in foreign policy. This may look somewhat naïve now, but there is enough hardware as it is while there is obviously a serious lack of respect and legitimacy in the world. This is an expanded version of the article written for the Valdai International Discussion Club (http://valdaiclub.com/a/highlights/guns-of-april/?sphrase_id=113491).